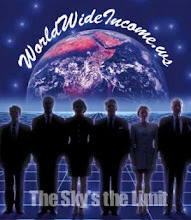 Global Domains International > .WS Business > Training > ABCs of WebSite $uccess!! Re: ABCs of WebSite $uccess!! Thought I would add my $ worth! Clear your mind of doubt. Create a positive mental picture. Now, who will Post what each letter of WebSite represents? Chip...you got me thinking! It just can't be mere words...must be thought out! Give me time! Enabling you to earn income 5 levels deep! Sharing this amazing business opportunity with others! Each and everyday, $1 at a time to infinity. ps: Frank...you beat me to it...while I was posting this one! booger! "Only when you speak, can someone listen to your message" Word Of Mouth: It's the Secret to Network Marketing! "The early bird may get the worm, but it's the second mouse gets the cheese!" We are here smiling with GDI! Aaaaaaaaah, this is great!!! We have some very smart people in this awesome business! I think it's great that you can think up stuff like this! I tried to think something up, but I never came up with that clever of ideas. GDI is the way to GOOOOOOOOO!!!!!!!! Teamwork is the key! Let's everybody work as a team! Nice one Logan! Yeah..I beat ya..but we are on the same team, sharing thoughts and ideas! Keep up the great work! We look forward to more Posts on the Topic. Way to go Judy! Excellent...all one has to do is try in this exciting business and you will succeed! Couldn't resist... how about this? Success needs "U" to work! "Success is a progressive realization of a worthy ideal" N. Hill. I look forward to meeting you all at the top (but more importantly, sharing the experiences as we ALL get there)!